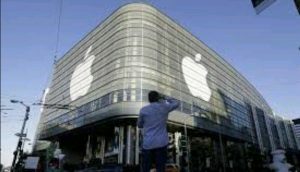 Apple Inc. has the planned to expand the advanced manufacturing fund it started last spring, from $1 billion to $5 billion. The idea according to apple is to bring advanced manufacturing jobs to the heartland and it is already funding projects in Kentucky and rural Texas. Apple also plans to expand its coding initiatives. This it says is to help students and teachers from K-12 and at community colleges across the country to enable them learn valuable coding skills. However Apple Inc believes the initiative will help create more jobs across the country. According to Apple it will also help stimulate local economies and help educate students for the next generation of jobs. Apple on the other hand has announced it’s five year investment of $350 billion in the U.S economy.